taganrogcity.com | Anatoly Durov Jun. Anatoly Anatolievich Durov (Durow) - is one of the greatest and world-renowned animal trainers of the 20th century. The Durovs family, outstanding satirists and clowns, talented naturalists, animal-trainers and public figures, have put great effort into establishing the Russian circus as a true art form. Mother of Anatoly Anatolievich, née Teresa Stadler (Tereza Durowa) of German decent was a talented circus horse rider and owned the Bavarian Circus. Long and successful tours made her stay in Russia for life. Father of Anatoly Anatolievich, Anatoly Durov was born of an old noble family, and he broke with it to join a traveling troupe. Anatoly was a good acrobat, a magician and a wonderful reciter of monologues. Anatoly (Sen.) and Vladimir Durov were the first of the Durovs clan to become famous as circus entertainers. They were truly great artists in their field. Anatoly Durov's son, Anatoly, made his circus debut in 1914 in the circus of Nikitins brothers in the city of Ryazan, but his real fame came in the years following the Revolution. 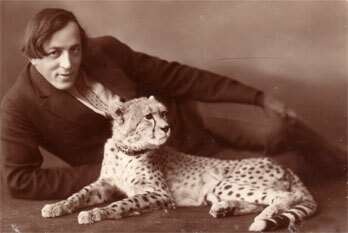 The younger Anatoly Durov performed with a large and varied group of animals, achieving fascinating results. At the same time, his commentary was always biting and topical. In 1921 he goes on a tour abroad. In Serbia, he performs in the city of Subotica in the variety show Alhambra; in the city of Zagreb in the Music Hall; in the city of Sarajevo in the Wintergarten. In November 1921, he signs a contract for performances in the cities of Graz and Vienna, Austria with the international circus Orpheus for 500,000 kronor plus railroad travel expenses. 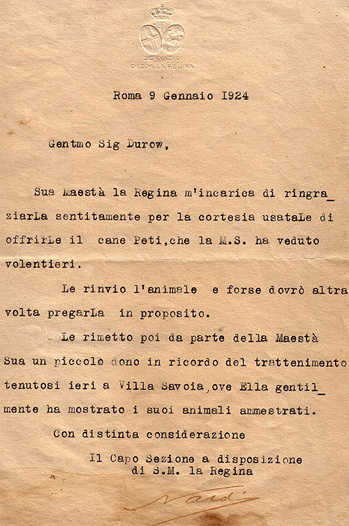 In 1922-1923 there was a Durovmania in Italy. 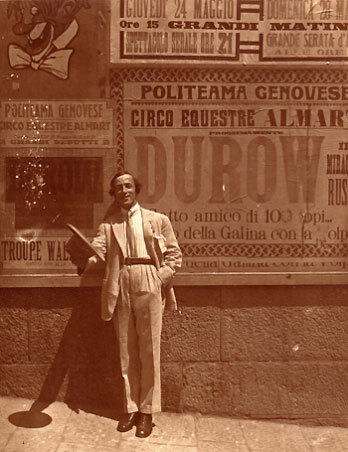 He toured throughout the whole country, performing in Rome, Milan, Padua (Padova), Genoa (Genova), Bari, Venice, Bologna, Treviso, Adria (Atria), and many more. At the request of H.M. Regina Elena, Anatoly Anatolievich Durov gave a private performance at the royal villa. The dog Petit lived in the queen's apartment for three days. As a sign of appreciation and acknowledgment, Queen Elena granted Anatoly Durov a golden cigarette-case and a letter of thanks. After his tours across Europe and the U.S., Anatoly Durov returned into Soviet Russia and founded an entertainment program that gained an international recognition, and later settled in the city of Taganrog (1926), where he founded The Taganrog Animal Theater of Anatoly Durov. Anatoly Anatolievich Durov died an early death in 1928. The Durov Museum in the city of Taganrog features materials dedicated to the founder of the Soviet Circus, Anatoly Anatolievich Durov, including documents and personal belongings of the Durovs clan, starting with Nadezhda Durova, a decorated soldier in the Russian cavalry during the Napoleonic war of 1812.